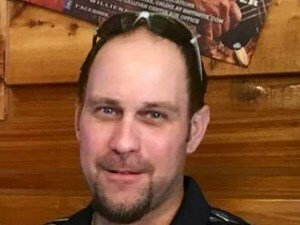 Bryan Patrick McCulloch, age 35, of O'Fallon, Missouri passed away on Sunday, November 18, 2018. He was born in Saint Louis, Missouri on December 27, 1982 to Robert and Jenny McCulloch (nee: Piller). Bryan was a Technician at Charter Communication for 12 plus years. He enjoyed fishing, swimming, music and was an avid St. Louis Blues fan. Bryan is survived by his Loving Mother, Jenny McCulloch, Father, Robert Dierkes McCulloch II, Dear Brother of Steven M. McCulloch, Lisa M. (David) Kenyon and Brother-In-Law of Trish McCulloch, Cherished Uncle of Robert D. McCulloch, IV, Madison McCulloch, Joseph McCulloch, Mykenzie McCulloch, Marissa McCulloch, Abigail McCulloch, Thomas Kenyon, Grace Kenyon, Martha Kenyon, Sophia Kenyon, Heather Kenyon, Adored Great-Uncle of Elias, Lincoln, Jackson and Zeki. He was truly loved and will be greatly missed by a host of other family members and friends. He was preceded in death by his Brother, Robert D. McCulloch, III. A Private Visitation will be held for immediate family Monday, November 26, 2018 from 3:00 pm until 4:00 pm at Newcomer Cremations, Funerals & Receptions, 837 Mid Rivers Mall Drive, St. Peters, Missouri 63376. Visitation will be held Monday, November 26, 2018 from 4:00 pm until 6:00 pm at Newcomer Cremations, Funerals & Receptions, 837 Mid Rivers Mall Drive, St. Peters, Missouri 63376. Funeral Ceremony will immediately follow visitation at 6:00 pm at Newcomer Cremations, Funerals & Receptions, 837 Mid Rivers Mall Drive, St. Peters, Missouri 63376 with Pastor John Rauh officiating. In Lieu of flowers donations can be made to Messiah Lutheran Church in honor of Bryan. To share a memory of Bryan or leave a special message for his family, please click the Share Memories button above. Add your memories to the guest book of Bryan McCulloch. My deepest thoughts and prayers go out to Bryans family and friends. Bryan was one of the most compassionate caring souls I ever had the pleasure of getting to know. He was able to make light of and smile in even the darkest situations. My life just hasnt been the same since he was taken to heaven. Love you B, miss you more and more everyday. Thank you for our friendship????? You are in a good place and safe. May those who loved you most, feel peaceful. Bob and Geneva we are keeping you in our prayers. I am Brian’s great aunt. He was a sweet boy who was always smiling and happy. He had two loving parents, Bob and Geneva. I remember Brian playing with the dog, BBQ, and swinging on the back porch. I am praying God will comfort your hearts and carry you through time of sadnesses to a place of peace. My sincere condolences in the loss of your son, Bryan. Your family is in my thoughts and prayers. We are so sorry to hear of the loss of your dear son, Bryan. Your family is in our thoughts and prayers at this difficult time. Our sincere condolences. My sympathy and deepest regrets go out to you Jenny and Bob and your entire family at this most difficult time. I am so sorry to hear of the loss of your dearest son Bryan. As you mourn the loss of Bryan, may God bring you peace and comfort. You and your entire family are in my thoughts and prayers. I am so sorry for your great loss, Bob and Geneva. You all are in our prayers. My deepest sympathies and warmest hugs goes out to all of you. As the days and weeks pass, and as you return to life's routine, may you continue to feel comforted by the love and support of family and friends. May you find comfort in God's promise at Isaiah 66:12, 13 says "You will be bounced on the knees, as a mother comforts her son. So I will keep comforting you." May the Almight God provide this comfort to you at the right time. So very sorry to hear of Bryan's passing. Keeping your family in our prayers.